Fuzed Worship is not about a band or solo artist. It’s about creating music that upholds truth and surpasses trends and momentary movements—centered on justice and focused on worship—music to unite and inspire a generation to serve Christ and demonstrate His love.Our life should be about worship— about upholding justice, living out compassion and inspiring a true passion to serve God. This is the core belief of Fuzed Worship.It’s more than just theory, more than good ideas, it’s taking the music and allowing it to breathe and encounter people on a daily level—to create, stand back and watch God do what He wants.If the focus becomes more about building our momentary kingdom rather than uplifting the kingdom of our Heavenly Father, we’ve completely missed the mark and settled for less than He intends.It is this resolve that inspired co-creators Daniel Meyer and Nate Edmonds to start writing songs together. Daniel, CEO of Joyce Meyer Ministries and Nate, a long time employee and musician with the ministry, had no idea that what they were writing would be the birth of Fuzed Worship. They just wanted to write songs to honor God. But God had plans for their efforts, and 30 songs later, they were recording the first Fuzed Worship project and releasing it through Joyce Meyer Ministries.Nate and the Fuzed Worship band are excited about leading worship for some of the Joyce Meyer Ministries Conference Tour. Aside from that, they will be seeking God for what He has in store and continue creating music to unite and inspire a generation to serve Christ and demonstrate His love.Fuzed Worship is an Outreach of Joyce Meyer Ministries. Fuzed Worship's official video for their song "Forever You Reign" from their new By Your Blood EP (available on iTunes here - https://itunes.apple.com/us/album/by-...). 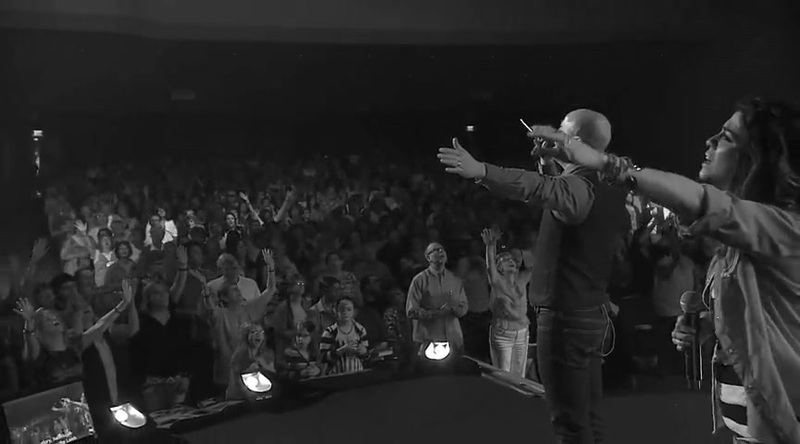 Watch fuzed worship music videos free online! Godtube.com also provides videos with fuzed worship lyrics, singles, album information and reviews. Whether you're looking for an inspirational and encouraging song for your quiet time with God or an upbeat song to praise Jesus, Godtube.com offers the largest online database of Christian music artists!